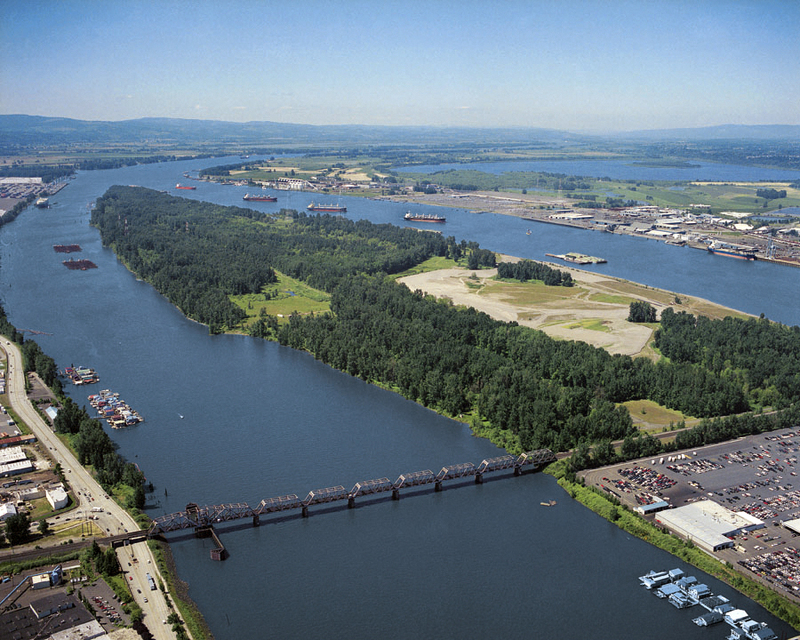 Hayden Island (above) occupies a key location at Portland’s northern edge. Situated in the Columbia River near the confluence with the Willamette, the island is a strategic and sought-after hub for multiple landscape systems. Its largely undeveloped western-half provides key habitats for wildlife, while also serving as an active dredge depot for material pulled from nearby shipping channels. The city is currently exploring requests for additional infrastructure on the island, including public recreational facilities and industrial shipping terminals; seeking to temper both of these desires with environmental concerns for the island’s existing ecologies that have largely developed through lack of deliberate management. The ecology of the western half of the island (800+ acres) has its unique qualities that fall far from the conceptual realm of the pristine or untouched. The island has been receiving dredge material for nearly a century. The Columbia River Basin in which it sits is the most hydroelectrically developed river system in the world – an infrastructure that induces systemic shifts in flooding regimes and sediment flows, which in turn generates altered migrations in land form, vegetation and habitats on the island. Yet the island thrives as a critical migration hub for both the Pacific Flyway and endangered aquatic species. 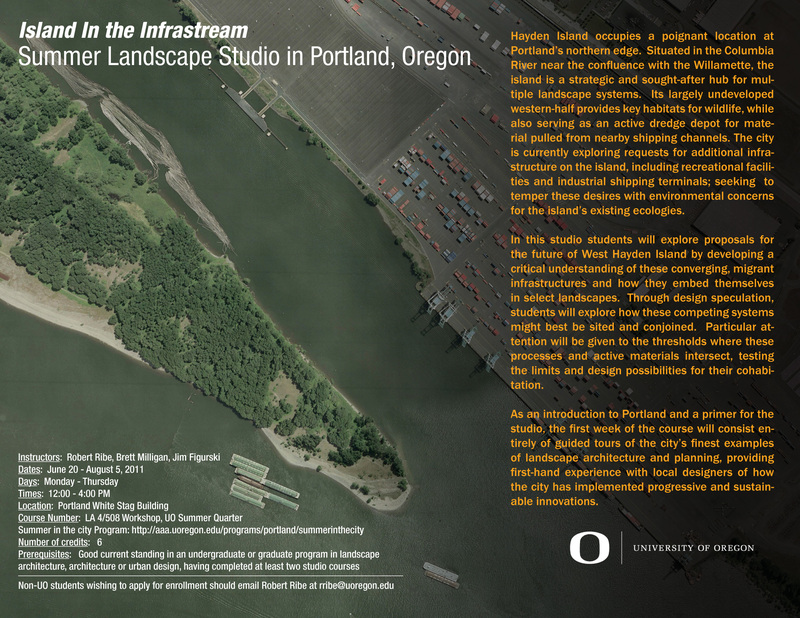 This summer (2011) we will be co-teaching a design studio focused on W. Hayden Island, taught through the University of Oregon Dept. of Landscape Architecture Summer in the City Program. 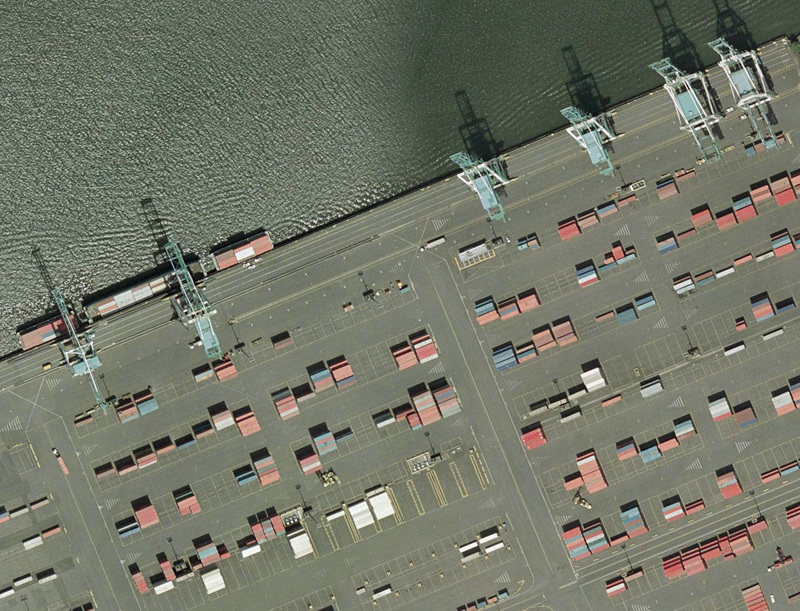 We will investigate design scenarios for the future of West Hayden Island through a critical understanding of the diverse and migrant infrastructures converging upon it. Through field work and design speculation, students will explore how these competing systems might best be sited and conjoined. 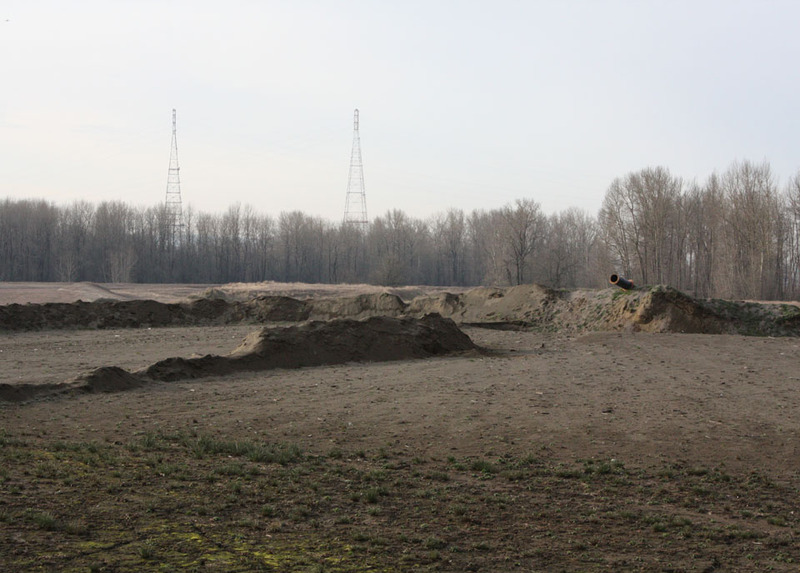 In particular, we will be particularly interested in exploring the thresholds where these processes and active materials intersect, testing the limits and design possibilities for their cohabitation. This studio is open to students from other schools with at least two design studios under their belt. If you have yet to decide what you are doing this summer, here’s a poster of the studio with more details. And in case you are worried that we might keep you cooped up inside, as an introduction to the city of Portland and primer for the studio, the first week of the course will consist entirely of field studies of Portland’s notable examples of constructed landscape guided by local designers who designed them. Contact us if you are interested.